BEST MAP/S: Recreation and Track Guide map of Waitakere Ranges available from Arataki Visitor Centre on the Scenic Drive. Or check out the Auckland Council Parks website to access track information and maps for all the Waitakere Ranges. RUN IT: From the car park head downhill on the Auckland City Walk and across the bridge. Continue on Auckland City Walk (good trail) until you reach the Anderson Track. Here turn right and follow across Kelly Stream and up the steep climb on the far side (technical single-track). After climbing 170m over about 1.5 km (which includes about 350 steps) turn right on to West Tunnel Mouth Tk. A short, quite technical descent leads to the Waitakere Tramline Walk which offers the cool experience of running on a narrow-gauge railway line and through a short tunnel (no torch required but mind your head!) 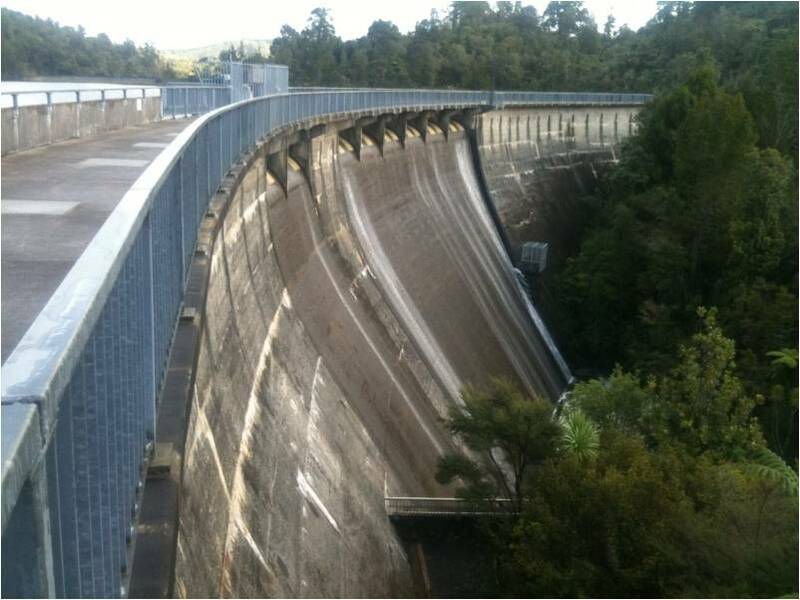 At the far end of this you will climb a short series of steps and turn right to cross Waitakere Dam. On the far side of the dam turn right on to the Fence Line Track (to Auckland City Walk). This provides good trail as far as the Cascade Track where you turn left on to a much more gnarly track. After a short while you need to make a left turn on to the Robinson Ridge Track and follow this technical single-track uphill until you meet the Fence Line track again (a shorter, less technical option sticks to the Fence Line track all the way from the dam and may be preferred by novices). Coming off Robinson Ridge turn right on Fence Line until you hit the 3-way junction at Simla. Turn right on to Long Road Track and follow this well-made trail (signposted as Montana Heritage Trail) towards Smyth Corner. For a short-cut back to the start you could turn right down the Upper Kauri Track but to do the full loop stay on Long Road Track following signs to Long Road. Eventually this trail breaks out of the bush on to a grassy farm track and then hits the gravel surface of Long Road. Follow this 700m downhill before turning right on to Whatitiri Track which after about 3kms and a couple of shallow stream crossings delivers you back to the Cascade Kauri car park. POST RUN GOODNESS: There are several cafes in Swanson on the way back into own The pick of the bunch is the Swanson Station Cafe. Sadly the Robinson Track was closed when I went to experience this trail but WOW what an amazing place to explore, Loving the Waitakere Ranges, makes me feel significantly insignificant in such an expanse of wonderful sights. That climb up Andersons surely was a tough start! NB Lower Kauri is currently closed (12/12/13), so you need to take a slightly different route at the moment.